We at LoveBanus know how important your holiday/trip is and that's why we try and take all the hassle out of organising it, leaving you to just relax and enjoy yourself. One of the many worries for people is how to get to their accommodation from the airport. 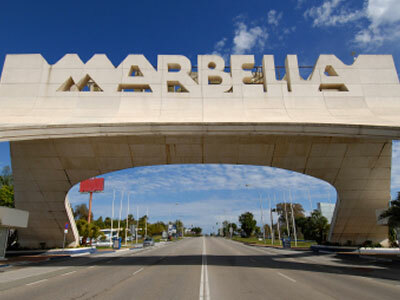 With seemingly endless queues of people waiting at the taxi rank not to mention the average cost of a taxi from Malaga Airport to the Puerto Banus area being somewhere in the region of 100 Euros (one way) we know what a nightmare this can be. So we have come up with seemingly the perfect answer. We provide hassle free private transfers direct to the door of your Hotel or Apartment. We can provide transfers for anybody ranging from individuals and small groups of friends right up to large groups of golfers or stag/hen parties. With everything from saloon cars upto 55 seater coaches we have the perfect transport solution to meet your requirements. All our drivers are English Speaking and you will have a contact number in case of any problems.